Maria is a native of Tarpon Springs, Florida and a graduate of Tarpon Springs High School. She also attended secondary school at the St. Nicholas Greek School where she was honored as a Lady's Philoptohos Fellowship recipient. She is bilingual in Greek. Maria received her Bachelor of Science degree in Criminal Justice from the University of Central Florida with a 3.86 GPA. She received her Juris Doctor from Quinnipiac University School of Law in Hamden, Connecticut. Maria received honors for Academic Achievement in Juvenile Law, Service to the Community and the Connecticut Title Insurance Company. Initially, Maria was a law clerk for Yale Law School where she conducted research and prepared updated policies to conform with Federal Regulations. Thereafter, she worked as an associate for a law firm in New Haven, Connecticut where she handled thousands of personal injury claims, as well as condominium administration cases. Because of the long winters, she relocated back to Daytona Beach, Florida and worked as an Assistant State Attorney throughout the 7th Judicial Circuit prosecuting such offenses as DUI, drug possession, theft and battery. Maria went into private practice where she handles criminal law, personal injury, labor law, and family law cases. She has tried a variety of criminal cases ranging from simple misdemeanors to DUI with serious bodily injury. Maria’s civil experience ranges from contract work, auto accidents, dog bites, slip and falls, premise liability and various business law matters. Maria has represented thousands of injured persons. She also served as General Counsel and Associate General Counsel to public employee labor unions representing members (mostly law enforcement) for duty related incidents, filing grievances and negotiating contracts. Her duties also included serving as the critical incident respondent and team legal participant for the International Brotherhood of Teamsters, Law Enforcement League. Maria has trained and represented hundreds of law enforcement officers in matters involving the use of deadly force. Maria is also a former Adjunct Professor of Keiser University where she taught Business Law and Criminal Law. In her spare time, Maria volunteered by assisting the New Haven Housing Authority and the Florida Department of Juvenile Justice as their attorney. Maria also enjoys traveling and spending time with her family. Maria represented me in a very complicated political matter. I found her research and preparation to be outstanding. Her passion for justice and compassion for me resulted in a positive outcome. 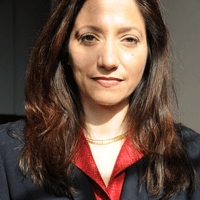 Because of her dedication and intelligence, I am happy to strongly recommend Maria Kazouris as legal counsel. Maria is one of the Best Attorneys that I know and would recommend her to anyone that needed help. She goes above and beyond with everything she is handed. I worked with Maria on several high profile labor cases and found her to be diligent, knowledgeable and open to alternative recourses. Maria is intense and works towards completing the task at hand in a professional demeanor. Maria would provide prospective employers with experience, knowledge and a courteous profile. Maria was a fine student, always well prepared, and showing concern about the human aspects of law, its impact on real people. I would highly recommend her services to anyone needing a dependable and caring attorney.